Thought leadership and brand storytelling share topical turf that is all too well-trod. I was puzzled, then, as to why someone who was a leading thinker before “thought leader” was a thing would bother to write another tome for the already over-burdened how-to-tell-a-brand-story bookshelf. David Aaker, the thinker and author in question, was kind enough to try to un-puzzle me during a recent conversation. Chuck Kent: Your latest book, Creating Signature Stories: Strategic Messaging That Energizes, Persuades and Inspires is just about to come out. I enjoyed my advance copy, but I have a few key questions about it – the first being that, as the topic of story has been pretty much all over marketing and branding for a number of years, why write a book about it now? I mean, what is it that you think people don’t understand about story from a corporate or individual brand level? 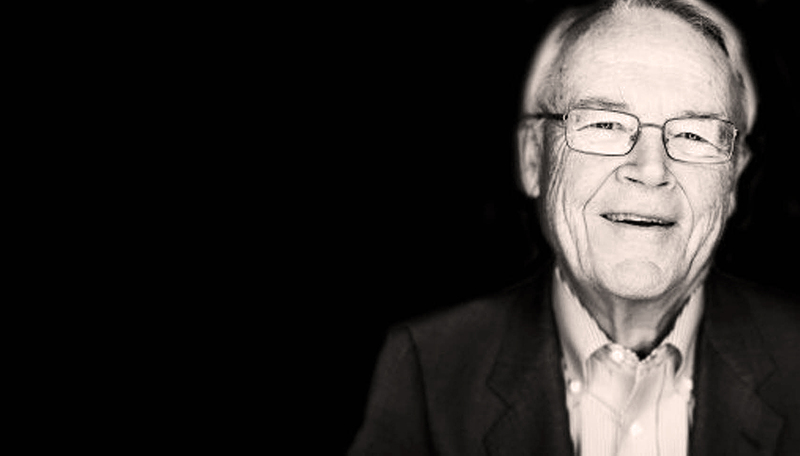 David Aaker: Yes, stories are getting a lot of attention these days and are kind of a hard topic in marketing, actually. One reason is that communicating your strategic message, your organizational values, your brand vision, your customer value proposition, your business strategy is really important to employees who are looking for meaning in their professional work – and also to customers, many of whom are looking to have a relationship that goes beyond functional benefits. At the same time, it’s harder and harder to make that communication happen because audiences really are not interested. The reality is they’re not interested in your brand, your firm, your product. They’re just not — and even if a message gets through to them, they’re pretty skeptical. Why are you telling me this? Who are you, and are you biased? Then add to that the media clutter we have and it all becomes very difficult. So that’s really why the power of story is being more recognized now than ever. The truth is that, as compared to facts, stories are orders of magnitude more capable of gaining attention, of changing perceptions, of persuading, of stimulating action, of even inspiring. And we’re not talking about 20% or 30% better. We’re talking about 200% or 300% percent better. People are recognizing that, and so there’s a lot of interest in stories. My role is to take the story and apply it to strategic messaging. CK: In that regard, you make a distinction between signature stories and what I would call regular business stories. How do you distinguish those two? DA: There are two things to consider here. One is something I struggled with it for a long time, and that is – what is not a story? When you ask people for their brand story, they give you five facts. But when I’m talking about a signature story, I’m talking about a narrative, something that has a once-upon-a-time quality. It’s going to describe an event or an experience, and that’s what I mean by a signature story. The second element is that a lot of stories are used for tactical purposes. They’re not expected to have any legs or tail. They’re just supposed to do their job and go away. A signature story is something that’s going to linger. It’s going to be an asset. CK: Can you elaborate on the nature and value of stories as strategic assets? DA: Let me give you an example. There’s a fellow whose first name was Zhang who became CEO of a major appliance manufacturer in China in 1984, with the charge to turn around the floundering company. In his first week on the job, a customer came in with a defective refrigerator. The CEO went to the warehouse with the customer to find a replacement only to discover that 20% of the refrigerators there, 72 in all, were defective. He took those 72 refrigerators to the floor of the production operation and had his employees destroy them with a sledgehammer. That story, to this day, reflects the fact that at that moment Zhang decided his company was going to generate quality products. Now, he could’ve explained, “We have a new culture, we’ve got new programs, we’re developing new designs, and we’re going to deliver quality. But that wouldn’t have done the same thing as a sledgehammer. Even today, that very sledgehammer, one of them, is sitting in the home office, and all you have to do is bring up the term sledgehammer for most of the employees and some dealers and customers as well, and they immediately get it. The story reflects the quality of that company, which is now named Haier and has become the largest manufacturer of appliances in the world. A signature story is something that’s going to linger. It’s going to be an asset. CK: Okay. I’m trying to resist the temptation to talk about hammering home your point, but I think that’s exactly what he used it for. So, given your background in branding, this use of the word signature intrigues me. It’s most commonly used to describe a unique personal identifier – like my signature that I write on checks. And while being an identifier may not be a signature story’s principle function, do you think those stories can rise to the level of brand identify equal to, say, a brand name or a logo? DA: Let me answer with another example. Barclays bank was, in about 2012, the least-trusted brand in the least-trusted industry. But they created a new higher purpose, and they empowered their employees to develop the programs around that purpose. Some employees formed a team called the Digital Eagles – a team which eventually grew to 17,000 members. They were dedicated to helping people thrive in the new digital age, and Barclays created a whole bunch of stories around them. One involved a guy named Rick, who was a soccer player who couldn’t play soccer anymore, but he could play walking soccer, where you have six on a side and you walk instead of run. The Digital Eagles helped him develop websites that made walking soccer a national deal in the UK, complete with leagues and a national tournament. This became one of Digital Eagles’ most emotional and memorable stories, how they helped give people a new lease on life. If you ask what the brand vision of Barclays is, what they want people to think of, well, they want them to think of the Digital Eagles, and they want to think of the Digital Eagles stories. So, in that case, story definitely rose to the status of an element of the brand vision. And it’s one of the experiments done that has proven signature stories work. They had also tried through traditional communications to say that Barclays people are nice guys, they’re not as bad as you think, they have great new programs… but it didn’t move the needle at all. The stories around the Digital Eagles, however, boosted perceptions of trust and other key factors by 35% to 50%. The stories boosted perceptions of trust and other key factors by 35 – 50%. CK: Who would have thought that helpful human beings would seem more appealing than bankers? And you don’t counter-argue a story. You hear the story about Rick and his website, and within that macro story there are a lot of individual stories about people who now can play soccer again, who have found a home. That’s so impactful because people don’t counter-argue; they don’t say, “Yeah, but Barclays – aren’t they the ones that did that Libor [London Interbank Offered Rate] crap?” It’s just a story, and they get involved in the story. The end result? Their impression of Barclays is, “They’re not such a bad outfit. If they’re [supporting the Digital Eagles] they can’t be that bad. That’s largely how stories work. CK: That’s interesting, the notion of humanizing a brand to make it more appealing. I’m wondering how essential a story is to that – and it brings me back to the very start of your book. You cite this great quote from the author Flannery O’Connor: “A story is a way to say something that can’t be said any other way.” Now, I could see where that would apply, perhaps, to the example you just gave, but my question is, do all brand stories rise to this level? You give a bunch of examples in the book, which could essentially be seen simply as clever ads or ad campaigns. You cite the Budweiser Clydesdale TV spots, the famous Blendtec videos, even some more recent GE ads that you mention toward the end of the book. Do you all those rise to this level of stories that can’t be told any other way? DA: Well, if you think about the Budweiser Clydesdale ads, maybe one of them by itself would fail to be elevated to a strategic context. But if you put them all together – there must be about 10 or 12 of them that appear once every year – they cumulatively tell a sort of a macro story that’s all about the warmth, the emotion, and the tradition that’s associated with the Clydesdale horses — and that gets associated with Budweiser beer. It’s more than just an ad. It’s this series that adds freshness and depth and repetition without the brand just repeating itself over time. And Blendtec is the same thing. I can’t believe it could blend a golf ball or an iPod or something, and each of those by itself might be just a tactical ad, but cumulatively, they provide this macro story that’s really strategic. CK: I don’t recall that phrase from the book, but I like it a lot: macro story. That should give great hope to our friends in advertising who have to weave these 30 and 60 second bits into campaigns. DA: It’s very rare that you have a single signature story. You usually have multiple ones, and a lot of those signature stories are really sets of stories. It’s very rare that you have a single signature story. Skype, for example, illustrates the power of Skype and the different applications in all kinds of different contexts, from a yoga instructor treating remote clients, to two girls born without left arms, one in New Zealand and one in Indiana, communicating with each other, to an orchestra leader using street musicians connected by Skype. So again, each of those individually might be a tactical message, but if you put them all together, they give a feeling for the richness and depth of the power of Skype. CK: Back to the macro story – can we chat for a minute about where these stories come from? Specifically, after reading your new book, I was wondering if it’s fair to say that signature stories are perhaps more usually organic or inherent to a brand or organization, whereas what you call tactical stories may be more appropriately susceptible to manufacture? If you have three or four organizational values, start by asking what stories from your customers, employees, founder, executives… what stories are out there that really reflect this value. You need to start out knowing what your strategic message is. Another exercise starts from the other end. Before you’ve developed a brand vision, you can have a nice little exercise asking, “What are our strategic stories? What stories really reflect what we do and how we do it?” As you come up with stories, they can help you develop your brand vision – and you’re more likely to have a brand vision that’s credible, that you have confidence in, because from the stories you can say, “We already do this.” Sometimes aspirational brand vision is left at the sidelines because you don’t have confidence that you can actually achieve it. So there can be a back and forth between things like brand vision or organizational values and signature stories. CK: So, that back and forth meaning that the stories can either reflect the vision or they can help you find it? DA: Exactly, yes. That’s well said. CK: One of the things you emphasized a lot is one of my least favorite words in marketing, just because it’s so overused. But you have to go there, because it makes a good point. You emphasize authenticity. I believe you’re speaking of it as both a characteristic and a beneficial outcome of effective signature stories. But you also speak about the possibility of borrowing stories, which gets me around to a big no-no from my ad days, which was presenting concepts with borrowed interest. So, my question is, doesn’t a lack of inherency, that organic origin, undercut authenticity or believability? DA: Well, I had a good friend, Bill Wells, the research director at Needham [DDB], and he would talk about the appearance of reality. Let’s take, for example, the most interesting man in the world, the beer character. This is as fictional and outlandish as you can get. What I’m looking for is very similar to the appearance of reality, so what I don’t want to see is people looking at the most interesting man in the world saying, “That’s phony. That’s contrived. That’s just a selling effort.” If that comes to mind, it’s not authentic. But in the absence of those kind of sentiments, there’s nothing wrong with the most interesting man in the world. That’s a terrific story, it’s done a lot for that beer, and it’s fictional. CK: It’s not authentic in terms of literal, though. So, are you saying that there’s also a category of, if you will, aspirational authenticity, one that maps well to what the target market wants to be like. DA: I mean, the strategic message of the most interesting man in the world is the brand vision for that beer – to be associated with a user who’s adventurous and not stick-in-the-mud, who’s willing to do these wild and crazy things. And it’s very humorous, so that’s in part why they get away with being so non-true. But it really doesn’t come off as being phony, contrived, or a selling effort. It comes off as being a story about this guy, and you start associating that guy with the beer brand. CK: It strikes me then as sort of an aspirational avatar for the brand, as it were. DA: That’s okay to call it aspirational, but it’s reflecting the strategic message of that brand, which is about a brand personality or a type of user. CK: There’s another topic that relates certainly to authenticity and looms even larger in the book, which is purpose. Do you think purpose-driven brands have an advantage in creating signature stories? DA: I think that’s one of the reasons you want a higher purpose, and especially a social or environmental higher purpose: it generates stories that can, in turn, generate energy, visibility, and perception. Let me give you an example. Lifebuoy is a bar soap made by Unilever, and it’s a leading brand in the Far East. In India, they developed a program called “Help A Child Reach 5, “because there is something like two million children a year in the world each year who don’t reach that age. The idea was to get a billion people to wash their hands better – and they’re at a half a billion already. They launched this exhaustive program involving schools and promotions, and they put it into three small communities. They even did a video in each of these communities, all around a central character, so you got to know the character and the family and so on. It was very emotional, very involving – and these three videos got 44 million views. It’s a bar soap. But they got 44 billion views. Purpose generates stories that can, in turn, generate energy, visibility, and perception. Now, just think to yourself … they spent almost no money. They made these videos, which went viral. Think of trying to generate the kind of energy, the kind of visibility, the kind of favorable perceptions, if you simply talked about bar soap and how differentiated is was from other bar soaps. I don’t think so. So one of the reasons to develop a higher purpose is, simply to give meaning to employees, make them feel better about coming to work each day, but also to give the brand energy and visibility and change perceptions. CK: You’ve mentioned the CEO of Patagonia as exemplary of a powerful founder story. Given his recent, forceful, and even risky action to counter the Trump administration’s effort to exploit public lands, is it fair to say that a signature story well-lived will tell itself? DA: I think so. I mean, this guy really has a lot of guts, and he’s been way out there all the time. He’s down there in Chile creating parks, and he’s an amazing guy, and one element of this is that he’s got a target market that’s really in line with him and his ideas. So he’s not risking as much as you might think. I remember I was once on a program with the CEO of Nike, who was replying to somebody claiming his ads were distasteful. He basically said, “I don’t really care what you’re thinking. You’re not my target market — and they like it.” So if you have a well-defined position that has a following, you’re a lot freer to take chances than if you’re more of a broadstream product that has to deal with a spectrum of concerns, requiring you to be more careful. CK: I have one last question, and that’s really for those who have brands that aren’t yet using signature stories. What would you recommend as a first step in that direction? DA: The most important first step is to recognize that facts just don’t work because the audience – whether employees or customers – is disinterested, they’re skeptical, and they counter argue. So you’ve got to simply accept the fact that stories do work. They distract people from counter arguing. They gain attention. They’re memorable, and so it’s worth it to go through the effort to try to find great stories. And second, you need to set up your organization so that it’s capable of identifying good stories, and it’s capable of polishing them. Some organizations now are hiring editors, reporters, video teams, in order to tell stories. But what you quickly discover (if you get that far) is that you have story overload. Take my company, Prophet. We have about 70 signature stories. That can leave you overwhelmed, so you have to find a mechanism to handle all those stories. It’s not as easy as saying, “Now we’re now going be a storyteller.” (Although I just heard today that a top executive at United Airlines is called the Chief Storyteller.) More and more, people realize that storytelling capability involves the organizational culture, and that involves not only systems and processes, but people. CK: Well, there certainly a lot of chatter, a lot of excitement around stories. I often wonder how much substance there is, however, so I very much appreciate your effort to give it a more strategic framework. Thanks very much for your time. “Why a CEO Should be the Storyteller-in-Chief.